Luk Bou Cha is actually 'Liu Bao', merely different moniker referring to the same tea. 'Luk Bou', means 'Six Fort', in Cantonese, in other ethnic Chinese languages, it is called 'Liu Bao'. The word 'Cha', means 'tea', for emphasis, the Cantonese usually call it Luk Bou, only. Luk Bou is never to be confused with Pu Er. 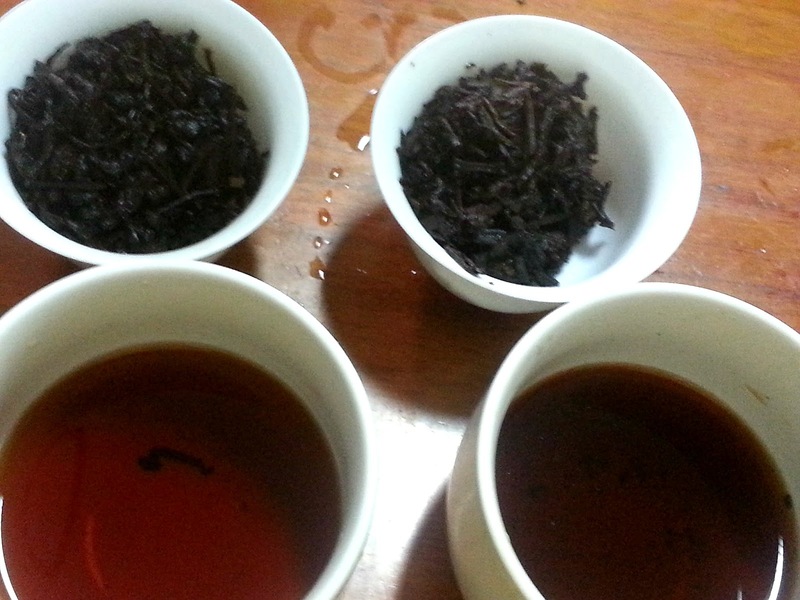 Although both are black teas, they are both different types of tea altogether. So there's all that. "Black" in that is often translated as "dark" in Western references (the hei in hei cha). It seems likely the mapping of concepts isn't clearly focused to mean one or the other, black or dark, so the alternate translation could be partly to avoid complication from black tea in English designation being called red in the original naming convention (hong cha: red tea). 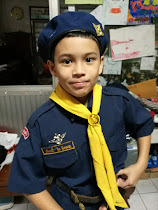 This is a Thai version, from Tea Side. I'll taste it along with a shou pu'er to help pin down similarities and differences, but the one I have at home is a modest version of shou (read as "cheap"), a Kunming 7581 brick, which I'd already reviewed here. I'll say a little more about Liu Bao in general after the review part. The initial taste is earthy; not really a surprise. It's smooth and a bit sweet, somewhat rich, but mostly earthy. It tastes like peat, I guess. I'm comparing it to a relatively ordinary grade, standard shou to get a better feel for the range, and it is similar, but that shou has a good bit of petroleum-range taste in addition to the earthiness in this Liu Bao. I'm wondering if I didn't just write the entire review, if there will be more to add to that. I like the teas but I didn't get the impression there was a lot of complexity to describe, besides unpacking "peat," and I don't expect so much transition in aspects to occur across infusions. But we'll see. I went a little longer the next infusion, perhaps just over a minute, to brew a good thick version to taste. I can try on the light side next and see how that varies results. The Liu Bao is ok, sweet and thick, and rich. There is something to it besides that peat taste, the earthiness; it's a little fruity on one subdued layer. It's not completely different than fig, and a dark-wood tone stretches a little towards spice. But it is mostly peat, or what I'd imagine an infusion of peat to taste like, not so far off the scent of yard mulch. Again the shou just adds quite a bit of petroleum to that, not so far off fresh crude. Or really maybe aged crude; that scent from very old wooden oil well barrels that have been sitting and weathering for decades. I love that smell. In the tea it's not completely pleasant or unpleasant, a take on it would depend on preference, but it wouldn't be for everyone. The next infusion was under 30 seconds, but the strength is still significant. This is going to be about a difference between dark wood tone and petroleum. The Liu Bao evolves a little towards cedar, still dark, but a bit cleaner, and different. The peat taste never was exactly murky though, if that makes any sense, just quite earthy. That aged petroleum in the shou may be a little murky, but it's a lot cleaner than one would expect given it tastes like oil. The next infusion is more of the same. 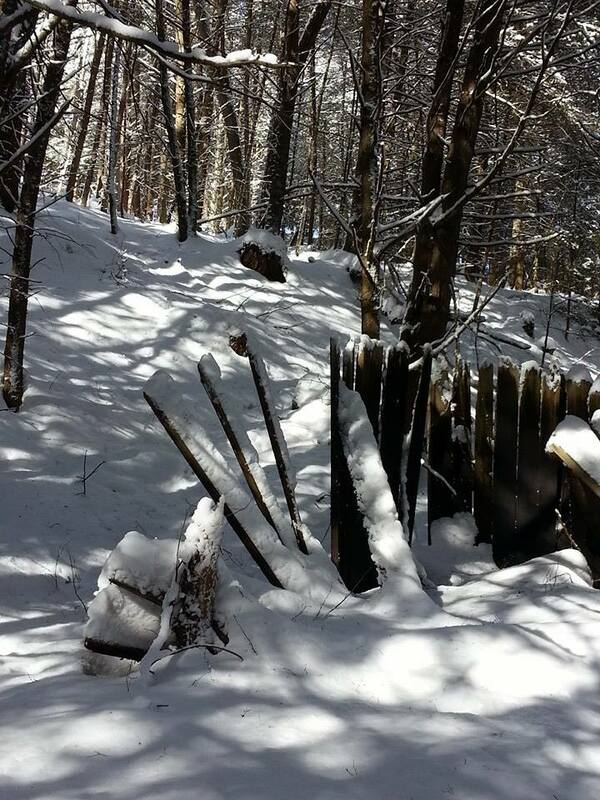 The shou is drifting into tar a bit, deepening in richness and intensity. The Liu Bao stays more in the range of dark wood, with a bit more subtlety and complexity. That might be a different type of dried fruit, or the peat might well have lightened into autumn leaf instead. It's not completely different but a bit lighter and cleaner. But it's still not complex in the same sense other tea types are, not a layered experience. The feel of both is a bit rich; that's nice, but still nothing complicated or challenging, pleasant but not especially unique. Both teas continued for a few more lighter infusions. One interesting element started to stand out more in the Thai Liu Bao, not unlike spice, but not familiar, maybe some mild root or bark spice I don't know well. Or then again it tasted a little like cork too. I have no idea how this compares to other versions of Liu Bao since I haven't tried any. It's hard to guess how much it would have changed over the 11 years since it was made, or what the effect of another 11 would be. It seems nice for what it is, not all that different from shou. 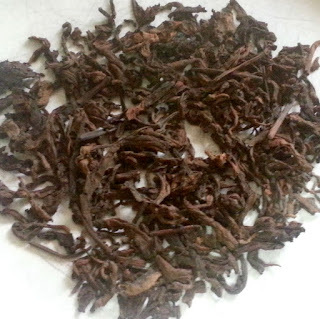 I like it better than the shou I've been comparing it with, but that tea never did seem like an above average example, that its strength is being within the range of normal. I've probably never tried a really exceptional shou, although maybe in tasting in a shop sometime I did and didn't know it. The ones I have tried didn't vary so much, not unlike the range in these two teas, more or less petroleum, peat-like earthiness versus dark wood tones. I'm sure there is a lot more to experience that I'll get to later. 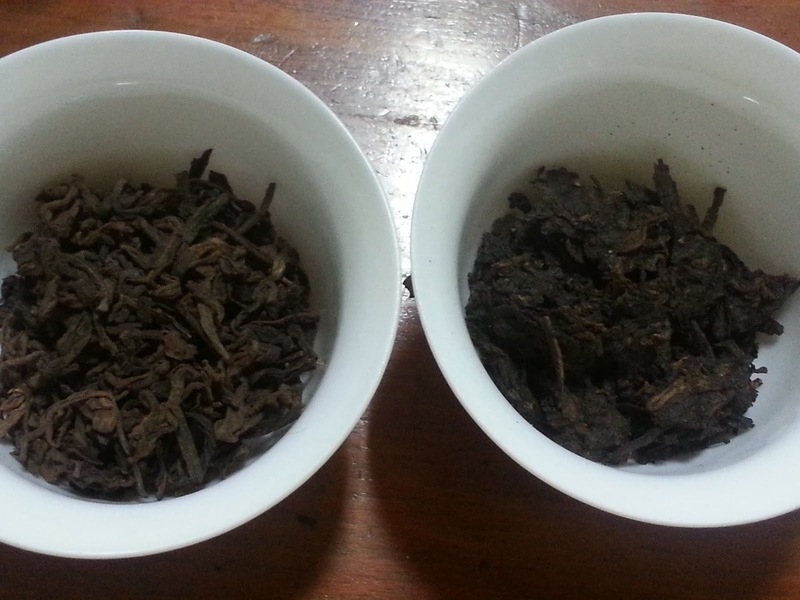 Other versions from this vendor from Thailand were the one exception to that, by far the most interesting I've tried of the general category, or in one sense outside the category themselves given they aren't from Yunnan, so technically not "pu'er." Even though a lot of the shou versions I have tried were close to what I'd expect brewing my old Army boots would taste like I've still liked them, it's just not a personal favorite. 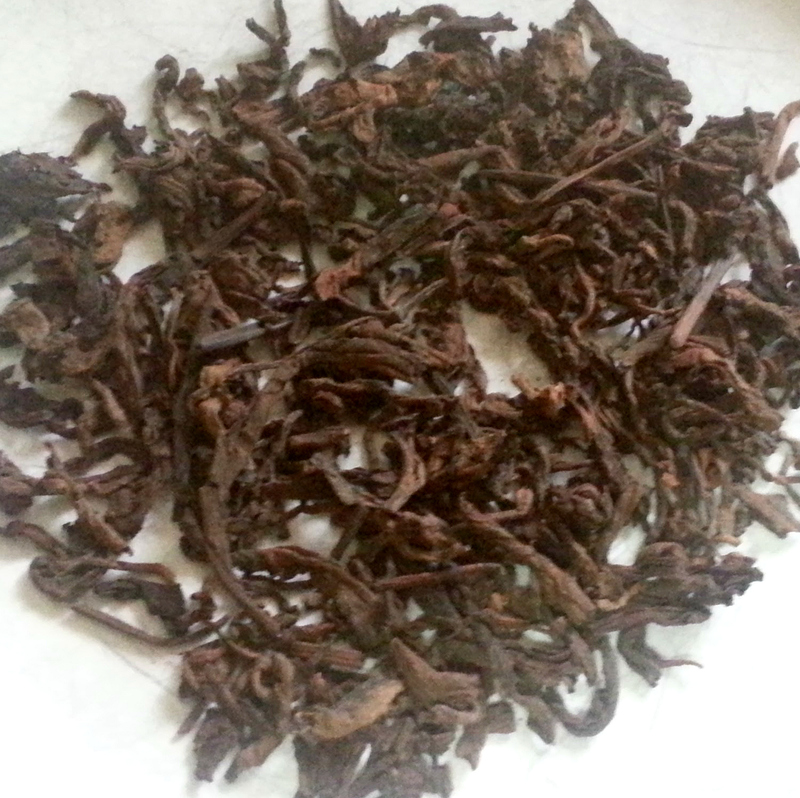 Loose-leaf Liu Bao Hei Cha of 2006 from old trees. Altitude of trees is about 1500 meters above the sea level. Taste: Thick, rich, soft and oily. There are hazelnut, pleasant woody notes and a little of cinnamon. Effect: Tranquility, relaxation. Despite likeness to Shu Pu-erh teas, this Liu Bao tea can be drunk at night. Sounds close enough. I guess I'd have to drink it at night to check on that one part. I thought the tea was pleasant, and I definitely picked up spice, it just wasn't distinct enough to pin down as cinnamon. 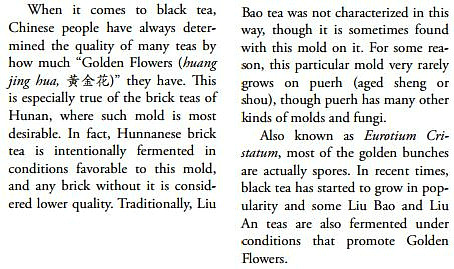 So really more to do with Fu tea, it would seem, but interesting to hear that aspect can overlap with Liu Bao. 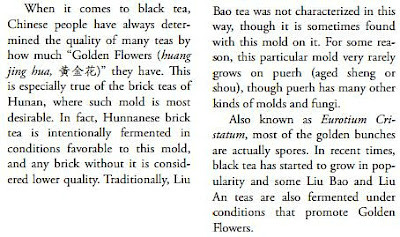 Beyond that the magazine generally describes Liu Bao as other descriptions place it, as an earthy, mellow, and complex tea not completely different than shou pu'er. The background, history, and variations are interesting to read about there though, especially about how style differences have shifted over time.